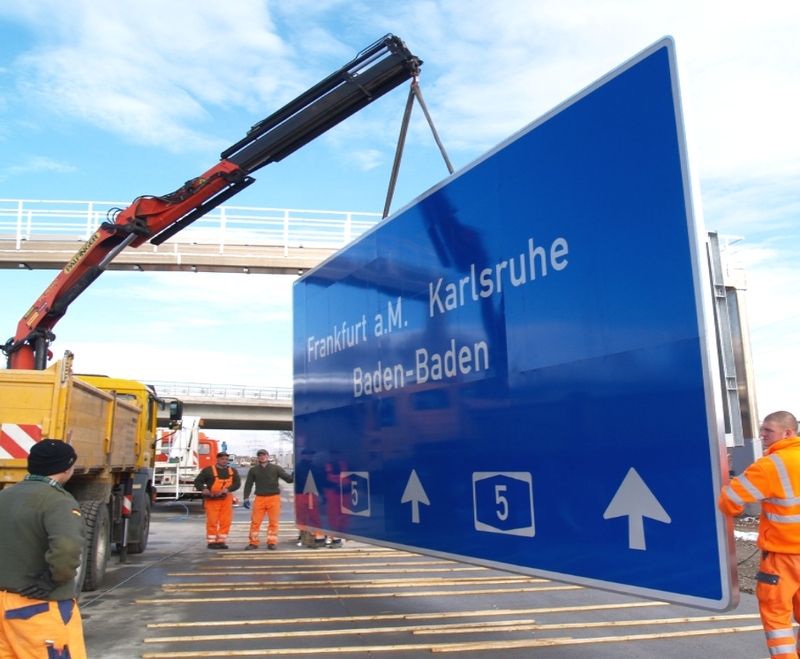 SWARCO DAMBACH GmbH, based in Gaggenau near Karlsruhe, is one of the leading German converters of reflective films and manufacturers of static signage of all kinds for securing, steering and regulating road traffic. The range extends from small signs for local streets and street name signs to huge overhead signs on federal motorways. Extensive accessories as well as the production of large aluminium and steel structures complete the portfolio. The company is particularly competent in logo signage at the point of sale, illuminated advertising, façade signage and wayfinding systems for airports. Well-known customers from the automotive industry and food retailing rely on energy-saving solutions from SWARCO DAMBACH. Based on its long-standing experience and expertise in traffic technology, together with a dense network of contacts, the company is able to provide reliable individual assistance and consulting to its national and international customers.